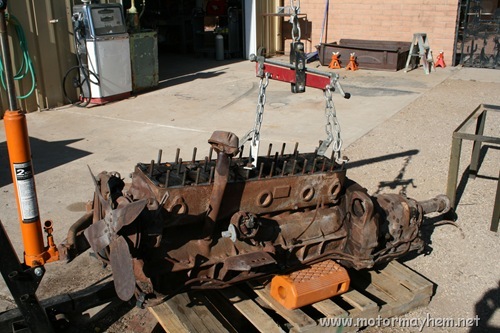 I recently picked up this motor from a guy who wanted to get rid of it. Not sure what I am going to do with it yet. Maybe sell it or put it in something. Anyway here are some pics of it. 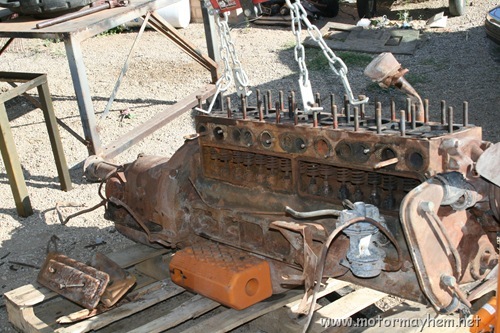 I believe it is an early 50’s engine and is either a 288 or a 327 Packard Thunderbolt straight-8 motor. Anyway I though it was cool. 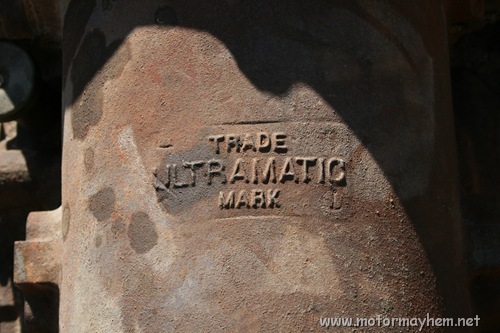 It came with an Ultramatic transmission, which I am told is the original. 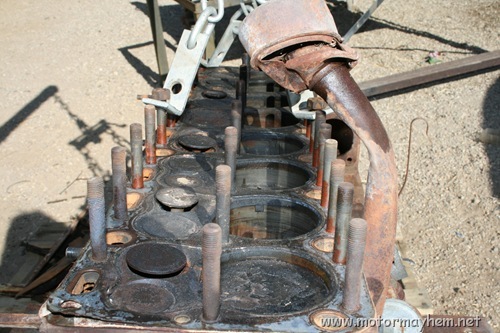 The oil galley is on the passenger side lower part of the block, about 3″ above the oil pan mounting surface. It curves out, and is rounded. You’ll see the little 1/8″ NPT plugs sticking out of it, and it goes right through where the oil pump is. Those are not the numbers. The numbers you are looking for are on the starter side, but up towards the head. It’s on a pad directly above the starter, the pad is about 1″ tall and 4″ long. A 9 main engine would have 8 little 1/8″ NPT plugs on the oil galley for the lifters on the passenger side lower part of the engine, in line with the oil pump. 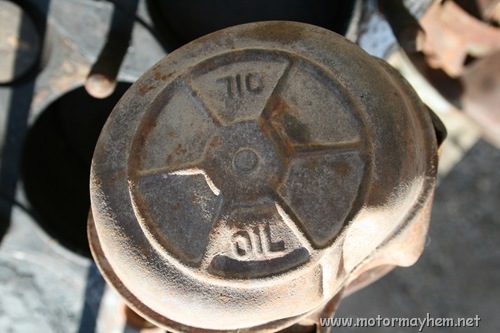 The 9th one is hidden behind the oil pump. Well I checked it today and there is no letter in front of the numbers. These are cast right under where the starter bolts on. Also what is the oil galley? I would like to see if I can find the number of main, but I don’t have my hoist at the moment to lift it and pull the pan. Sorry, that should be a “K”, “L” is ’53. Is there a letter before the “443528”, and that’s not ON the head is it? Other than that, I’d say that it’s a ’52 engine, since it has a late ’51 casting date and the “2 25 52” If there’s a letter in front of the “443528” it should be an “L”, which makes it a ’52 327 5 main engine, not too rare of an engine, but nice to have. If you want to know some hop up ideas for it, meet me over at http://www.packardinfo.com, I go by “Turbopackman”. 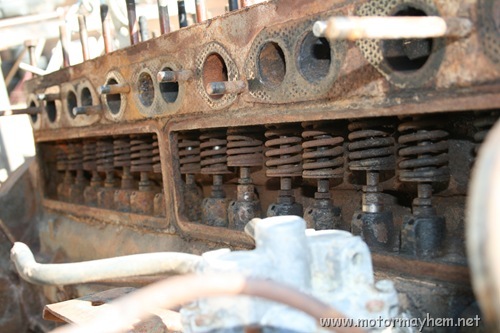 Your engine is a ’51-54 model, and if you can tell me the numbers on the pad that’s on the driver’s side rear of the engine below the head I can tell you exactly what it is. Lmk if you know what it is.